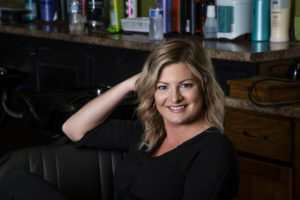 Hello, I am Shannon, I have been a stylist for almost 10 years. My specialties include all formal styles for weddings, proms, and other special occasions. I am a master colorist and I can achieve the most trendiest hair color techniques including ombre’ and balayage. I can color your hair black, brown, red, blonde, or platinum. I am also very confident when it comes to color correction. I was trained under TIGI and have developed hair cutting skills for men, women, and children. Please call ahead and get an appointment with Shannon.